You’ve made it through a hectic start to 2017 and now, thank goodness, holidays are here again! Summer may be long gone, but the family fun on offer in Sydney sure ain’t. With Easter, the school holidays and Anzac Day all conveniently falling within a three-week block, Sydney spoils for choice when it comes to things to do. Sydney Royal Easter Show. Image: Destination NSW. Battered savs, fairy floss, carnival rides, show bags and entertainment in the main arena. Yep, this was how we kids had fun in the days before iPads and other personal mobile devices took over the junior world. 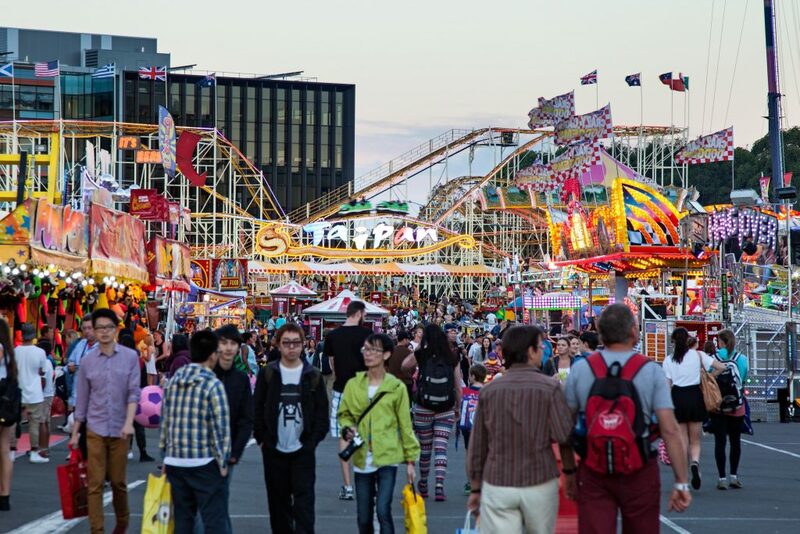 The Sydney Royal Easter Show was always an annual highlight – and it still is. 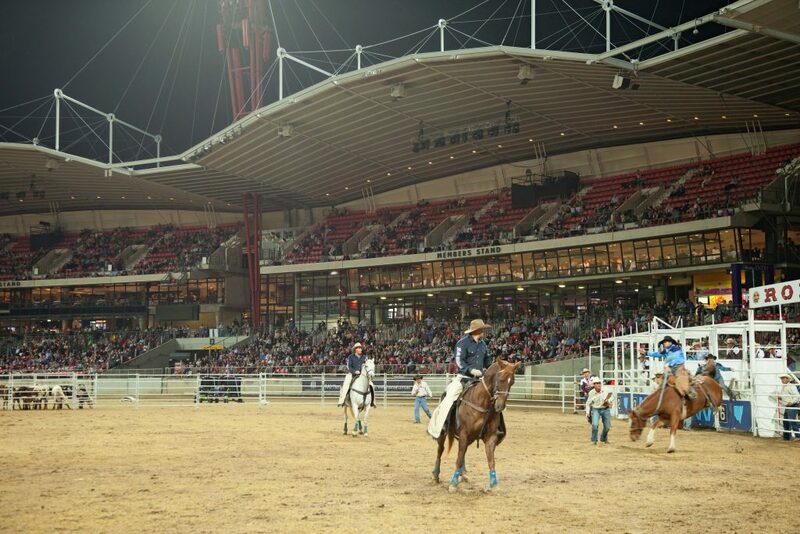 With a jam-packed program of agricultural competitions, animal experiences, live entertainment, carnival fun, shopping and much more on offer, not to mention crowds of more than 850,000 attendees over two weeks, be sure to plan your visit. The show’s suggested itineraries (with tips for everyone from young families to seniors, traditionalists to foodies) are a great place to start. Whatever activities you choose, be sure to stop by the woodchopping, which is one of our long-time personal favourites. Call us shallow, but you know you’re with us when we say it wouldn’t be Easter without an ample supply of quality chocolate! And if you’re visiting Sydney away from home, there’s a delightful chocolate wonderland that will have your mouth watering and your wallet opening on sight! Haigh’s Chocolates has delightful morsels year-round, but Easter of course is the calendar highlight for a chocolatier! We love the Aussie touch that Haigh’s brings to it’s choccies too – the bilby figurine is a favourite. Plus there’s chocolate eggs galore: in tins, in mugs, in eggs; with choc peppermint frogs, with toy bunnies and hens; small eggs, large eggs. Yum! 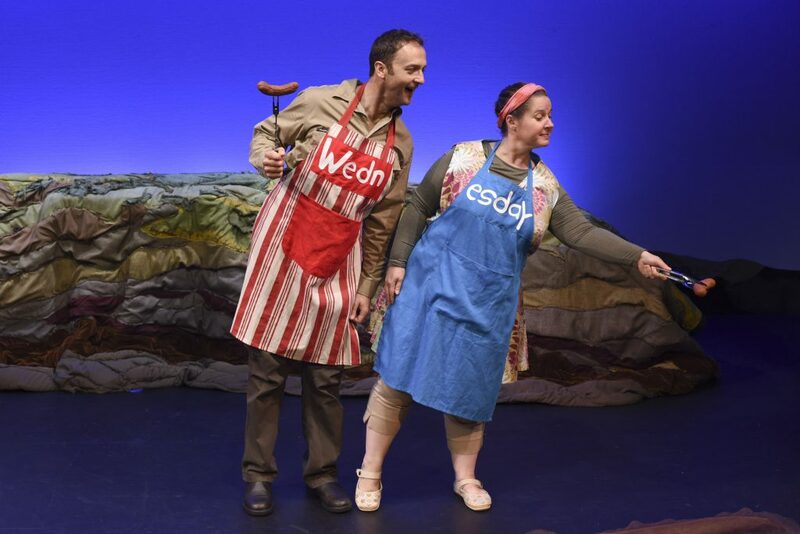 Monkey Baa Theatre Company’s Diary of a Wombat. Photo by: Heidrun Lohr. The book has been a favourite for kids (and admit it, adults) for the past 15 years. The carrot-eating antics of Mothball the wombat never failing to delight readers young and old. Now the mischievous (when she’s not sleeping any way) Aussie native is taking to the stage. 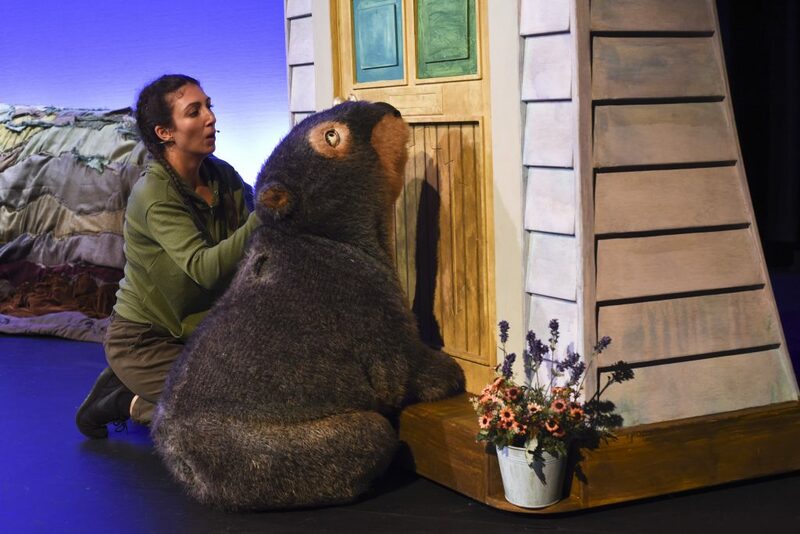 Monkey Baa Theatre Company is using the magic of puppetry and live music to bring the Diary of a Wombat book by Jackie French and Bruce Whatley to life before an adoring audience of kids aged three and over. Are the kids little daredevils, or do they juts need a scare? Yes, sounds wicked of us, but at the end of the day, we’re sure the whole family will enjoy the thrill of getting up close and personal with a crocodile (although as they say, never smile at a crocodile…). WILD LIFE Sydney Zoo has a new crocodile encounter experience on offer at it’s Darling Harbour HQ. It features an interactive crawl space and pop-up window and tunnels. The new experience allows you to come eye-to-eye with one of Australia’s most dangerous animals – the saltwater crocodile. Yikes! Anzac Day service. Image: RSL NSW. It’s a sobering occasion for Australians across the nation. 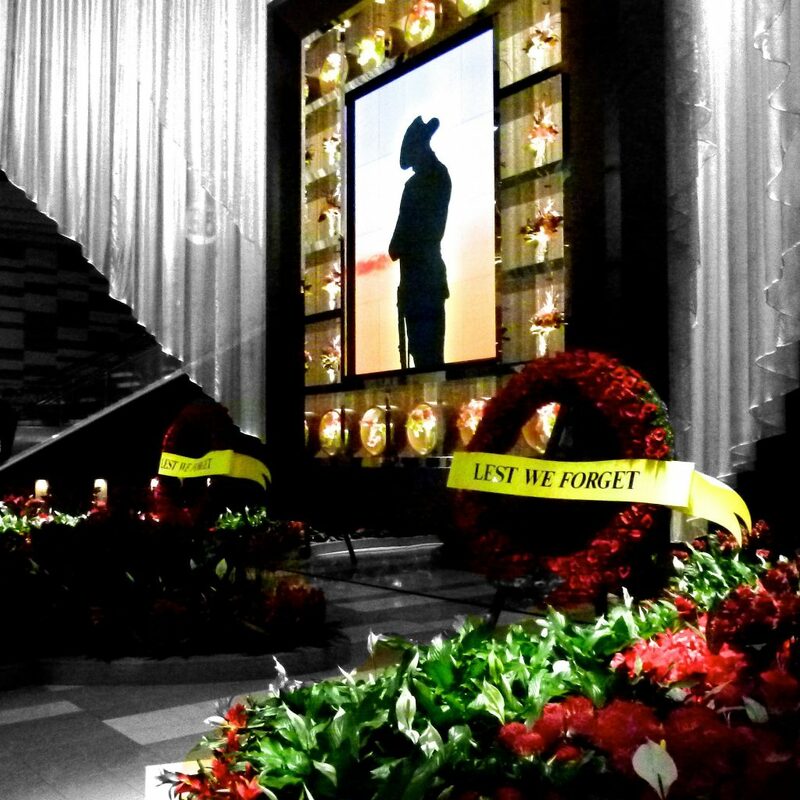 In central Sydney, the Martin Place dawn service and city march are long-standing Anzac Day traditions, taking part in which, even as a bystander, never fail to stir some deep emotions. Having paid one’s respects, it’s time for a game of two-up. Permitted for play in pubs and clubs only on Anzac Day, you’ll need to be ready with your call for heads or tails and to put up plenty of spare coin of your own. A schooner of beer generally goes nicely in hand too. We’re always telling kids they need to get outside more and discover the real meaning of things that matter. Well, what better way to get them on their way than with an Anzac kids challenge? Centennial Parklands is challenging youngsters to discover the meaning of Anzac Day with a physical obstacle course and a lesson about the value of mateship. Kids will need to crawl under, balance on, problem solve and work as a team. Plus youngsters get to hand-make an Anzac-inspired souvenir. Spirit of Anzac Centenary Experience. 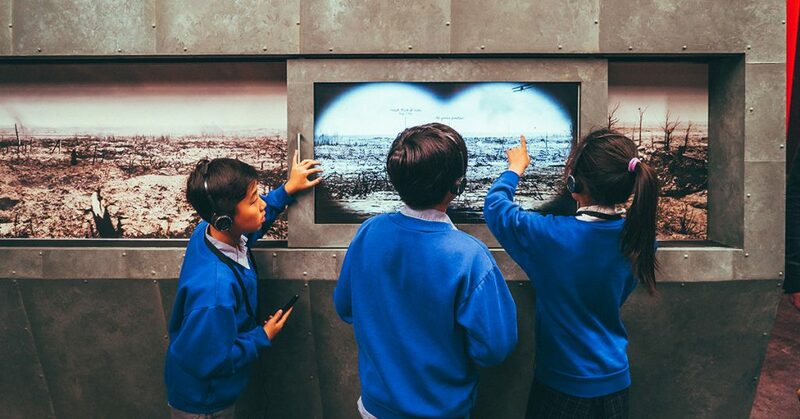 For a special all-ages interactive commemoration of the Anzac experience, check out the the Spirit of Anzac Centenary Experience (April 15 – 27) as profiled in our World Stage: What to see at ICC Sydney post.